What can I say, "best of" lists are quite popular in book blogger sites and they're a great way of personally recognizing the works of others (be it authors, editors, and everything else in between). Late last year, I published a shortlist of some of my favorite titles and after a month of deliberation (and more reading), here's my list for 2009. I'd also like to clarify that the titles mentioned here must meet two criteria: a) I've actually read them and b) they were published in 2009. And as much as I want to do a lot of a), unfortunately, I did not have time to read as much as I wanted, and admittedly most of my readings were focused on anthologies, short story collections, and magazines. Novels for me are the staple of the genre and there's a lot of significant work that were released in 2009, whether it's China Mieville's The City & The City, Lev Grossman's The Magicians, or Brandon Sanderon's The Gathering Storm (haven't read the last two). For me, however, some of the best were those that slipped past most people's radar, and challenge the boundaries of speculative fiction. 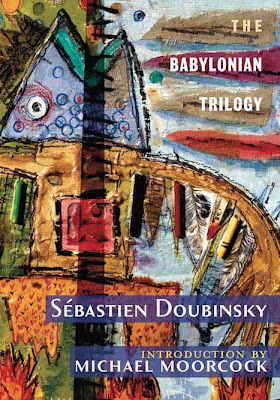 The Babylonian Trilogy by Sebastien Doubinsky (PS Publishing) - For me, one of the novels that still lingers in my mind is Doubinsky's The Babylonian Trilogy. Whether it's style, technique, or format, the novel delivers an experience that feels fresh and original. Finch by Jeff VanderMeer (Underland Press) - If it's just down to technique, VanderMeer wins, hands down. You can read Finch on the surface level and enjoy it, or you can dig deep into it and uncover layers upon layers of sub-text and subtleties. That and spore guns! Slights by Kaaron Warren (Angry Robot Books) - Slights is a disturbing novel, but that fact is not immediately apparent: the horror is like a shadow that lurks at the periphery of your vision. It also helps that Warren writes in a style that's immediately engaging and repeatedly astounds. Novellas are typically a tough sell to publishers--at least compared to novels or short stories. Still, 2009 had some great novellas, mostly thanks to publisher PS Publishing. 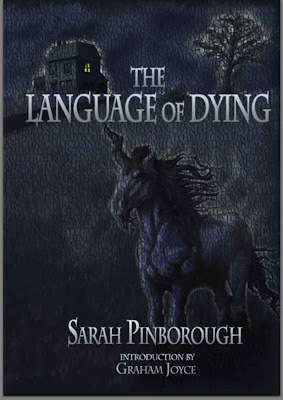 The Language of Dying by Sarah Pinborough (PS Publishing) - Again, PS Publishing delivers something starkly different from the norm. It's all about what Pinborough insinuates and the way she slowly peels the layers off of her protagonist. The Witnesses Are Gone by Joel Lane (PS Publishing) - The Witnesses Are Gone is both haunting and elegant without either getting in the way of the other. The length, I feel, is just right, and it's a compliment to Lane that he manages to twist what should have been a predictable (and foreshadowed) story into a narrative that catches you off-guard. "Delusion's Song" by Alan Smale from Panverse One (Panverse Publishing) - Whereas my top two novellas focus on simply one perspective, the appeal of "Delusion's Song" is its ambitiousness. There's a lot of characters in the story yet Smale manages to make them sound distinctive. And then there's the plot which is dark and brooding, and astute readers might guess the allusions of the story. Honestly, I'm most excited when it comes to 2009's novelettes. In fact, narrowing it to my top three was quite difficult. "The Assimilated Cuban's Guide to Quantum Santeria" by Carlos Hernandez from Interfictions 2 (Small Beer Press) - "The Assimilated Cuban's Guide to Quantum Santeria" has everything I want in a story: it's upbeat, accessible, telling details, and most of all, fun while still being weighty. "It Takes Two" by Nicola Griffith from Eclipse Three (Night Shade Books) - It's not often that I encounter mundane science fiction that has the emotional resonance of Griffith's writing. And while I would have loved this piece for that fact alone, it also packs so much more, whether it's Griffith's thesis to characters that feel genuine. "Technicolor" by John Langan from Poe (Solaris Books) - "Technicolor" is one of the most misleading stories you'll ever read. The ride seems safe yet it leads to unexpected (but welcome) destinations that's full of wonder and horror. "Count Poniatowski and the Beautiful Chicken" by Elizabeth Ziemska from Interfictions 2 (Small Beer Press) - One of the most underrated writers if Ziemska and her talent is writing short but very tight stories. "Count Poniatowski and the Beautiful Chicken" is a tear-jerker that features the best of various genres. "SO-far" by Otsuichi from ZOO (Haikasoru) - Here is translated fiction that's simple, elegant, and achieves so much for its length. Simply put, I want more. "Golubash, or Wine-Blood-War-Elegy" by Catherynne M. Valente from Federations (Prime Books) - While supposedly a science fiction piece, Valente's signature style is preserved and feels like a fantasy epic. Best of 2009 please. Another exciting format for me are anthologies. Lots of strong and terrific choices during 2009. 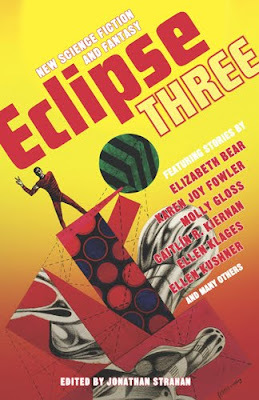 Eclipse Three by edited Jonathan Strahan (Night Shade Books) - Honestly, my #1 and #2 could easily have been switched, but if I went with my gut, this would be my pick. Interestingly enough, Eclipse Three feels like the interstitial volume of the series, hence my preference for it. Interfictions 2: An Anthology of Interstitial Writing edited by Delia Sherman & Christopher Barzak (Small Beer Press) - Here is, in my opinion, some of the best work being done in the genre (although that statement is a paradox since the point of the anthology is not to be part of any single label). Poe edited by Ellen Datlow (Solaris Books) - What's refreshing with Datlow's tribute anthologies is that they're not merely derivatives of the deceased author's fiction. The stories in Poe are quite distinct, combining elements of Poe and the contributing writer. Despite the loss of The Year's Best Fantasy and Horror (and nearly the Year's Best Fantasy series), 2009's output makes me hopeful. 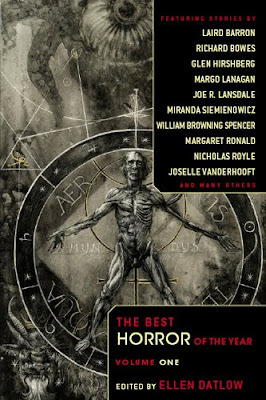 The Best Horror of the Year Volume One edited by Ellen Datlow (Night Shade Books) - Right now, if you want a recap of the previous year's best horror, this is the book to get. 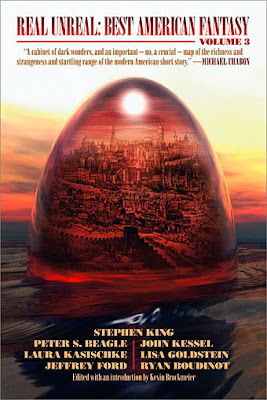 The Very Best of Fantasy & Science Fiction Sixtieth Anniversary Anthology edited by Gordon Van Gelder (Tachyon Publications) - Aside from testifying to the importance of Fantasy & Science Fiction, it also doubles as a a history book for the genre. The Improbable Adventures of Sherlock Holmes edited by John Joseph Adams (Night Shade Books) - This anthology manages to maintain its tone of voice despite the diverse narratives and contributors. While it admittedly takes advantage of the recent movie (just take a close look at the cover), the stories covers many of the permutations of the Sherlock Holmes mythos. Admittedly, I didn't get to read as much short story collections as I wanted to, but here are the ones that particularly stood out. We Never Talk About My Brother by Peter S. Beagle (Tachyon Publications) - There's more to Beagle than The Last Unicorn and this collection proves it. Everland and Other Stories by Paul Witcover (PS Publishing) - I was honestly unimpressed with Witcover's presence in the Inferior Four + 1 blog but this collection convinced me otherwise. Now I know why Witcover graces the ranks of Elizabeth Hand, Lucius Shepard, and Paul di Filippo. ZOO by Otsuichi (Haikasoru) - While a lot of the focus of Haikasoru are Japanese novels, ZOO proves that Japan has its fair share of talented short story writers as well. A must-read for anyone that's looking for something beyond the Anglophile norm. 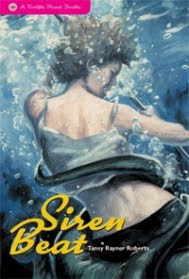 New Genre #6 - Despite being dominated by male contributors, overall, New Genre #6 combines sleek sensibilities with daring fiction that's not easily classifiable. 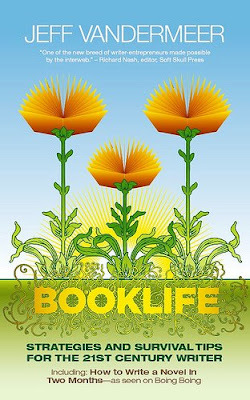 Booklife by Jeff VanderMeer (Tachyon Publications) - This is, in my opinion, one of the must-read books for any aspiring (and existing) author. VanderMeer tackles the plight of writers in a way that hasn't been done by other writing books. It's also modern in the sense that it has a companion website that gets continually updated, and the second edition of the book will only get better. 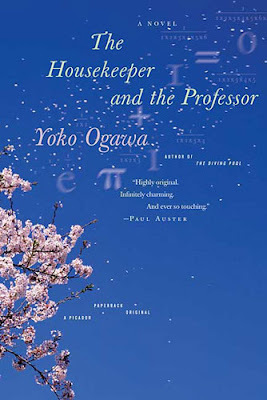 The Housekeeper and the Professor by Yoko Ogawa (Picador) - While not marketed as a genre book, The Housekeeper and the Professor has genre sensibilities. If nothing else, it'll make you fall in love with math. Angry Robot Books - It's not often that you can proclaim hey, there are several new publishers that debuted this year which came out with interesting titles. Angry Robot Books, Underland Press (technically, they started in 2008 but their first print title was released in 2009), and Haikasoru each covers a unique niche and made spectacular online debuts (Underland Press for example has that "wovel" thing). In the end though, I must go with Angry Robot Books with its coordination with the community and sheer volume of titles. 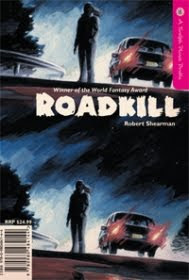 Roadkill/Siren Beat by Robert Shearman/Tansy Rayner Roberts (Twelfth Planet Press) - Roadkill/Siren Beat is campy but the publisher embraces this campiness. Honestly, this is one of those publications that I would have bought on packaging alone. It doesn't hurt that the two stories are excellent. Best American Fantasy 3 edited by Kevin Brockmeier (Underland Press) - Read it and easily a contender for 2010's best reprint anthologies. The Geek’s Guide to the Galaxy Podcast - Off to a great start and as some of my favorite genre podcasts are starting to slow down in terms of their release schedule, The Geek's Guide to the Galaxy Podcast is picking up the slack and easily becoming a favorite. Lightspeed - John Joseph Adams is My Master Now. His story choices and agenda leaves me hopeful for the future. We here at the New Genre offices are proud to have been chosen for best annual magazine, Mr. Tan. Many thanks! We're also proud of the diversity of our authors (don't be fooled by the names!). Our next issue is still shaping up--we're open to submissions (see our guidelines at www.new-genre.com (don't be fooled by how out of date our website is! ); email me (via the site) with any questions!). BTW, I was struck by how gorgeous some of the book covers are, really lovely. Delighted to see the awesome design of Siren Beat/Roadkill recognised! I was very lucky. I'm also happy whenever anyone agrees with me about how good Kaaron's Slights was. I'm not a horror fan and found this a deeply uncomfortable though exceptional read. Also, words cannot express how much I miss the Sofanauts. That was the podcast that sold me on how awesome podcasts are. Sniff! Hey Charles -- Thank you very much for your support of "Slights" by Kaaron Warren, and the work we do a Angry Robot. It means a lot. Here's to providing you with many more delights in 2010! Thanks, both for choosing Slights and for providing an interesting reading list!